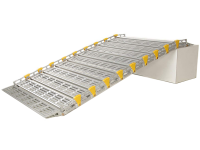 Flexible Construction Forms to Fit Dips, Slopes & Inclines In Sidewalks & Walkways. Installs Quickly & Easily Using Adhesive & Anchors (Included). 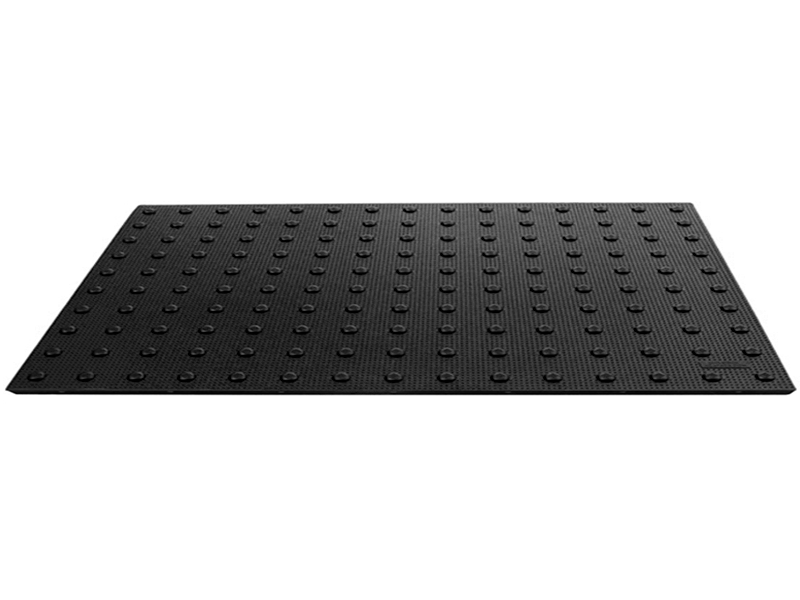 Better Slip Resistance Than Composites. Better Impact Resistance Than Composites. 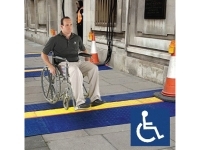 Regardless of which industry you work in, our range of ADA safety products can help you protect visually impaired/disabledpedestrian traffic in accordance with the Americans with Disabilities Act (ADA) 1990. 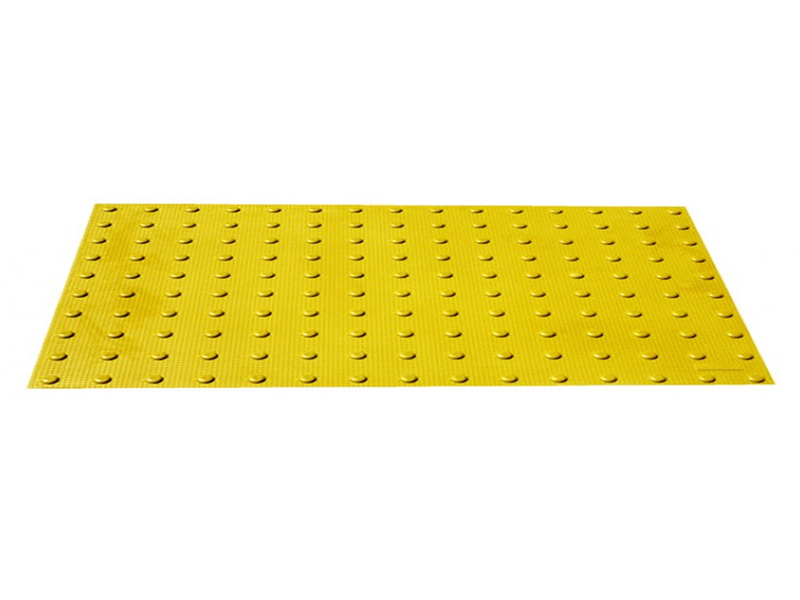 ADA safety equipment includes Urethane Detectable Warning Pavers which help in detecting and defining boundaries between the street and the sidewalk. 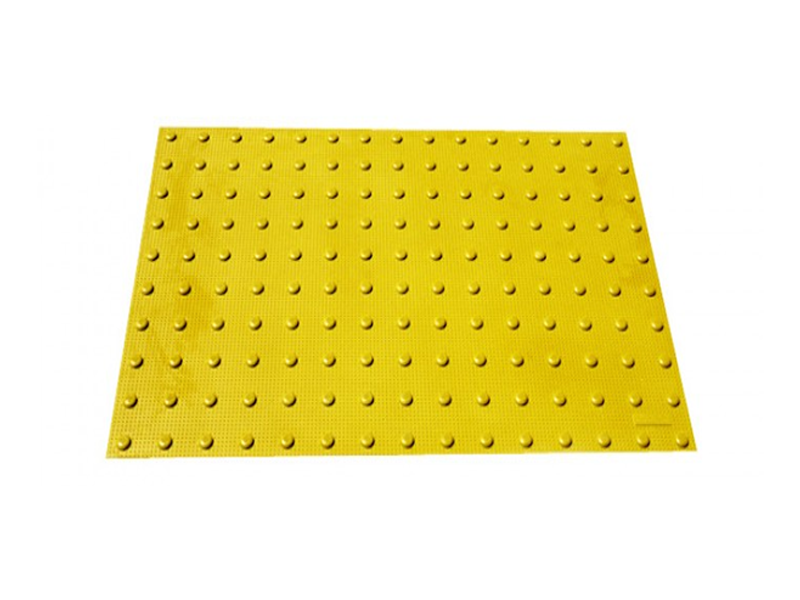 These essentially function as a stop sign for alerting disabled, partially blind and blind pedestrians of upcoming hazards in their path. The Americans with Disabilities Act (ADA) progressed toward becoming law in 1990. The ADA is a civil rights law that restricts victimization of handicapped people or those with certain disabilities irrespective of gender, age, race, religion or social status. 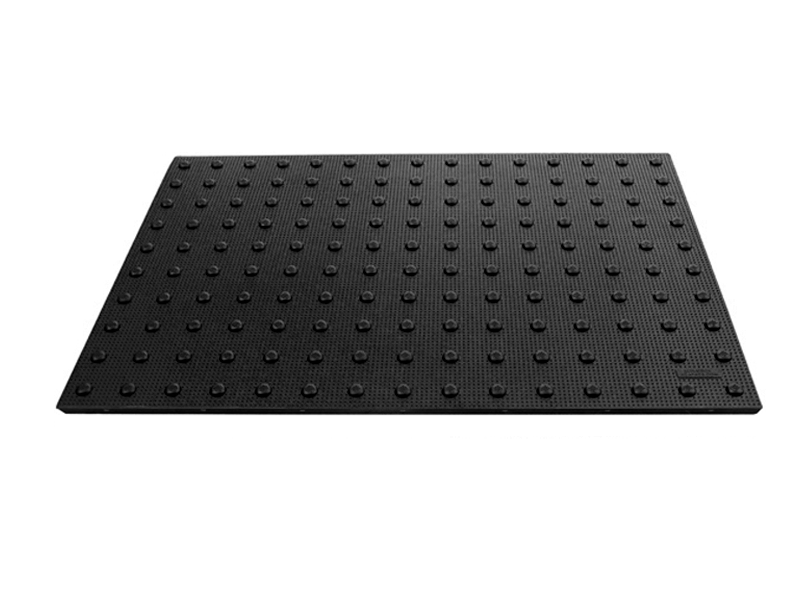 Specifically, the ADA code requires warning pavers to be placed in areas such as hazardous vehicular areas, reflecting pools, stairs and near doors to hazardous areas. 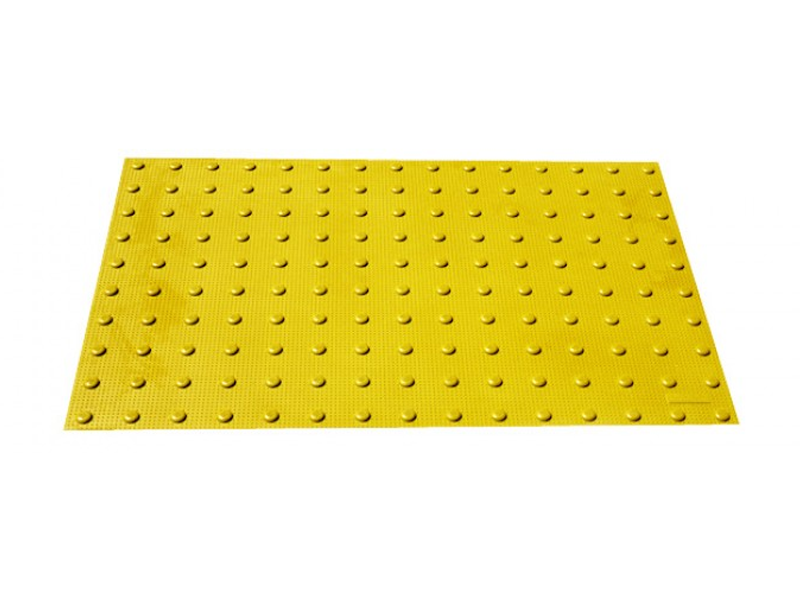 These are specially designed with truncated domes which are a more detectable surface compared to grooves and other such designs as they are similar to pavement joints, cracks and textures. Flexible construction allows for these ADA safety products to be placed on different surfaces such as inclines, slopes or dips in walkways and sidewalks. Raised and truncated domes can serve to warn partially sighted and blind pedestrians to upcoming intersections or hazards inducing different surfaces. In addition, truncated domes are unique and therefore the most easily detectable surface. 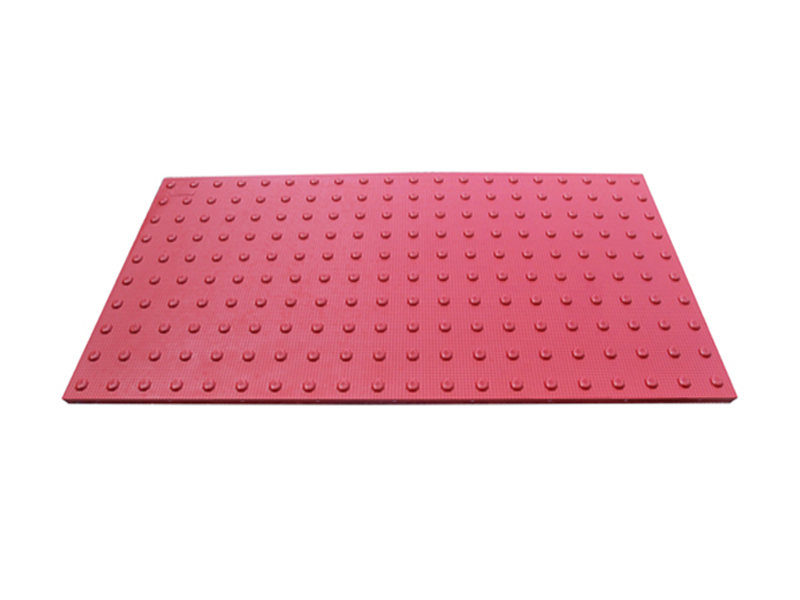 Enhanced slip resistance rating and long lasting option which meets the five year minimum requirement set by ADA. 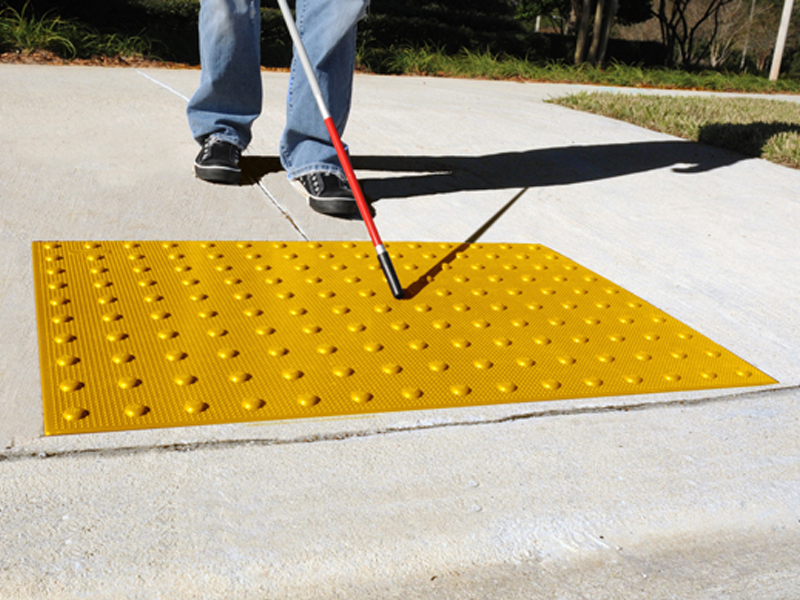 This ADA safety equipment is hard enough to provide noticeable detection with the help of a cane. 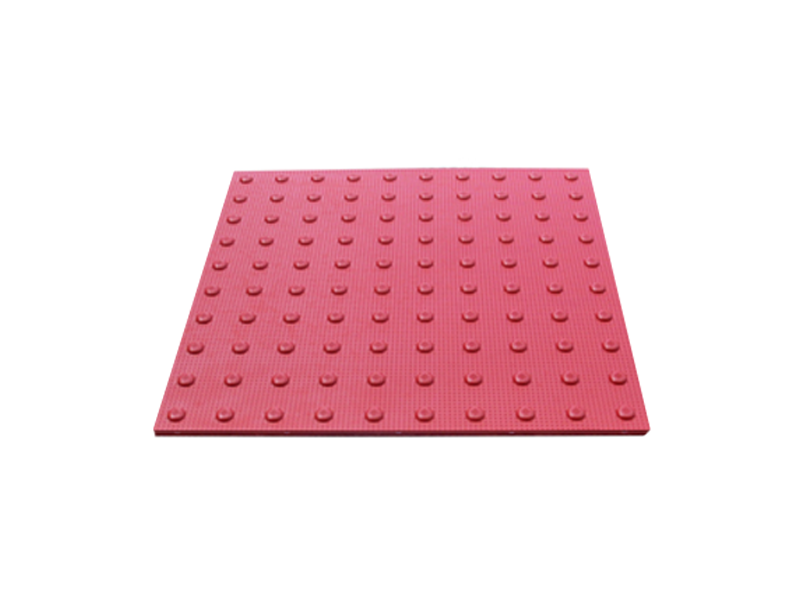 ADA safety products are available in a variety of colors such as safety red, brick red, black and yellow. These light and dark colors ensure that partially blind people or those with severe visual impairment can easily distinguish between adjoining surfaces. Available in different sizes measuring 2’ x 2’, 2’ x 3’, 2’ x 4’ or 2’ x 5’ to suit different needs and a variety of application areas. 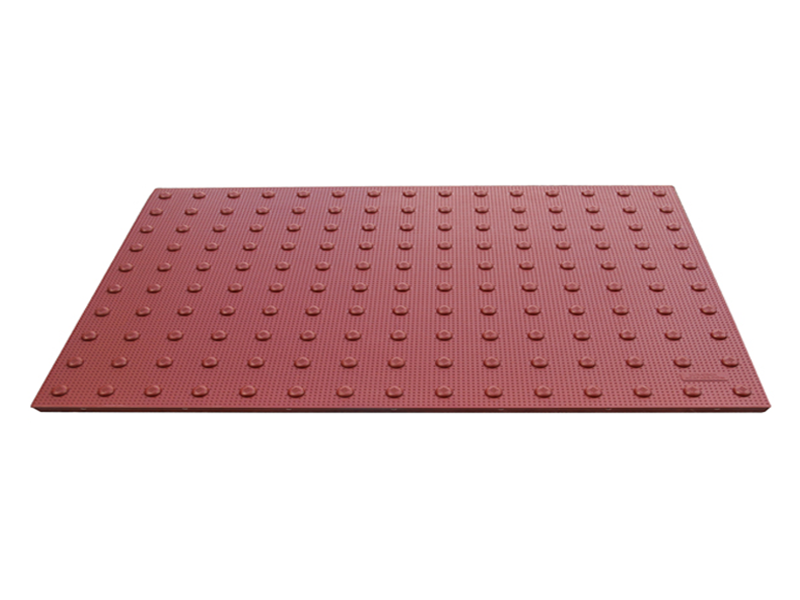 Impact resistant and can withstand increased wear and tear associated with high traffic zones and parking lots. This ADA safety equipment is 100% unbreakable. 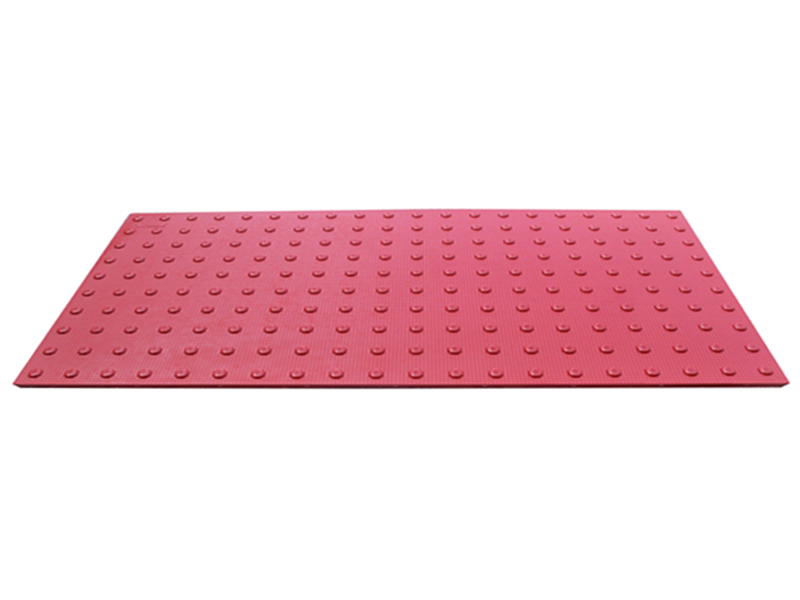 To ensure a perfect fit, the Ultra-ADA Pads can be cut using a power saw. Boundaries between the street and the sidewalk, etc. 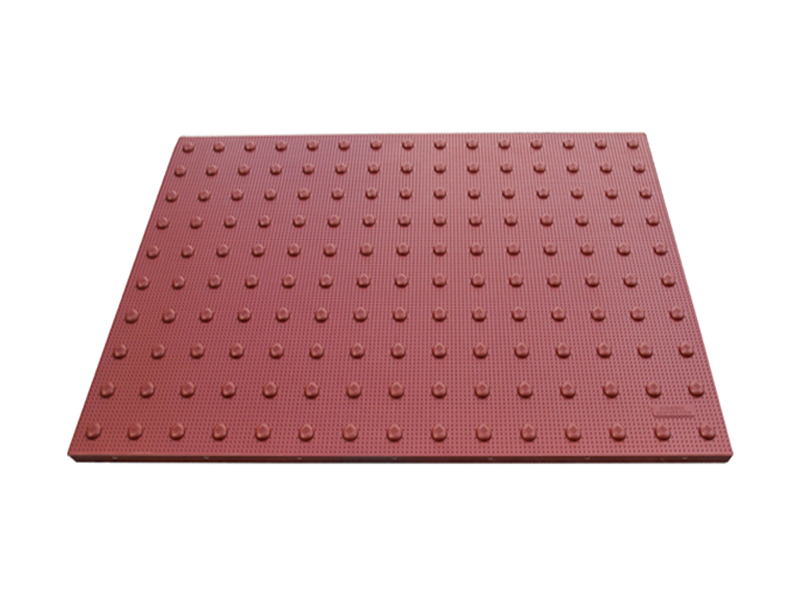 Ultra-ADA Pads should be placed 24 inches in the direction of travel and should extend the full distance of the flush surface or curb ramp. 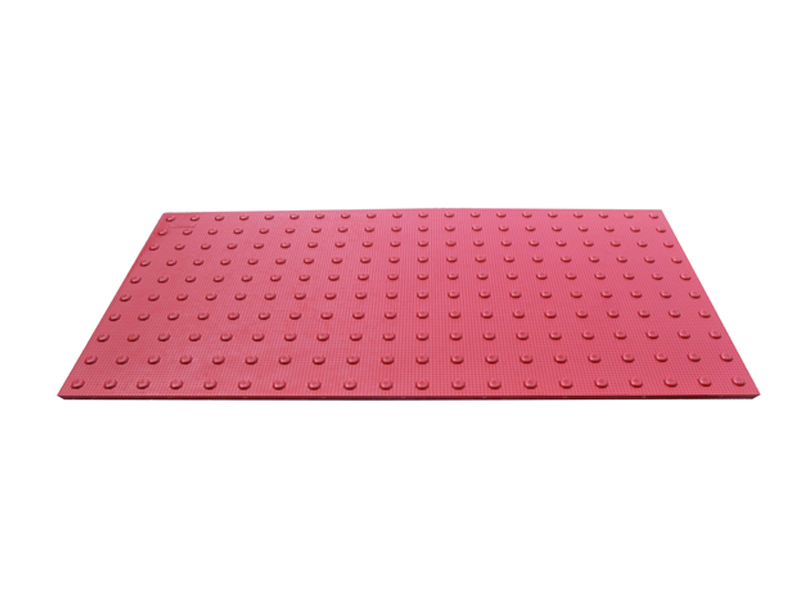 Ultra-ADA Pads should only be installed in temperatures ranging between 40° F to 100° F and 4 °C to 38 °C. It is important to remove dirt, oil, grease and other such contaminants from the area of application as they can interfere with the sealing process. 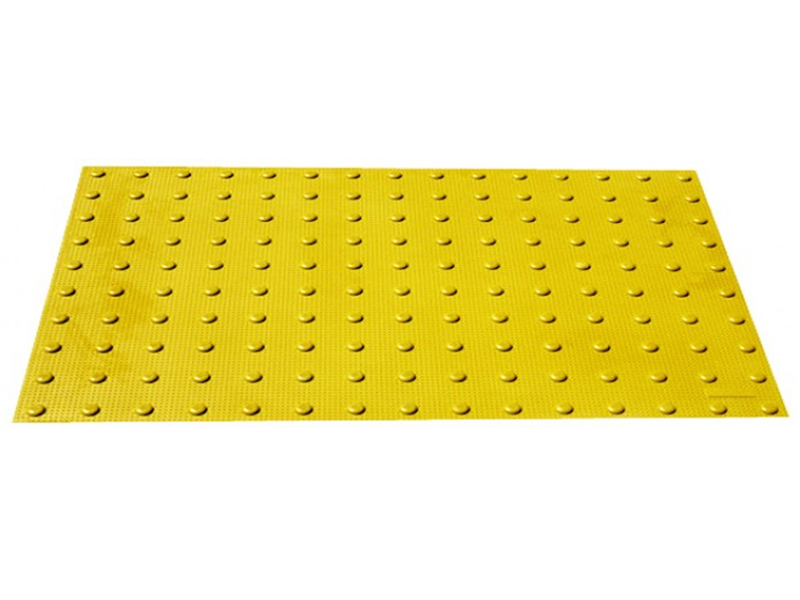 Adhesive should be applied in a cross pattern on the back of these ADA safety products after every 3 inches. The anchors should be installed in the recessed domes – plastic anchors should be secured with metal nails.